What to know: In less than a month, the UC Santa Barbara Gauchos have completely turned their season around. After getting trounced by UCLA in Los Angeles on January 16, the Gauchos have won eight straight matches and have climbed all the way up to #6 in the latest Off the Block media poll. 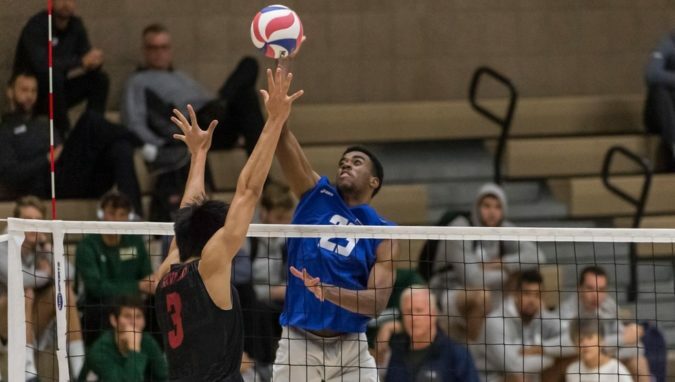 They have been successful behind the strong play of outside attacker Corey Chavers who is putting together an All-American type year. He is averaging 3.81 kills per game and is attacking at a .345 clip. Redshirt senior libero Hayden Boehle is also putting together a strong campaign, averaging 2.34 digs per game while anchoring a defense that is holding their opponents to a .242 hitting efficiency. Despite a rash of recent injuries, the Bruins enter the match on a five game winning streak. Micah Ma’a continues to lead the way, setting the Bruins to a .343 hitting efficiency and firing 30 aces. He is joined by Daenan Gyimah who is the reigning two-time winner of the weekly Off the Block positional award for middle attackers. He is hitting an astonishing .547 on the year and has 33 total blocks. The Bruins are averaging 1.9 aces per set and are holding their opponents to a .239 hitting efficiency.